The subscription service appeared on users' Apple TV home screens on Tuesday without the need for a software update. Those who subscribe to the Hulu Plus service can log in to access their account, while new users are offered a free one-week trial. 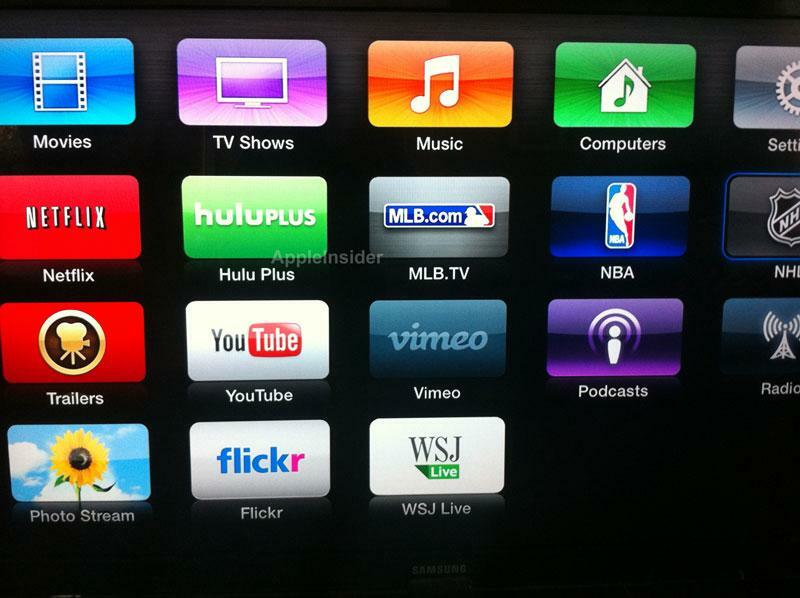 Hulu Plus joins Netflix, MLB.TV, the NBA, NHL, Vimeo, YouTube, and WSJ Live as third-party content providers available on the Apple TV. They join Apple's own iTunes content available for sale or rental. The $7.99-per-month Hulu Plus service debuted in mid-2010, offering access to back episodes of popular shows like "Family Guy," "Modern Family" and "Glee." Users of the service have previously been able to access Hulu Plus on their iPhone or iPad. Apple has steadily added new applications to the Apple TV even without the availability of a dedicated App Store, like exists on the iPhone, iPad and even Mac platforms. Streaming MLB and NBA games were added along with 5.1 sound support for Netflix in March of 2011, while NHL games, Wall Street Journal Live, Photo Stream, AirPlay Mirroring and iTunes Trailers were added with a software update last October. This fall, the functionality of the Apple TV will grow with the launch of iOS 6. Developer previews of the forthcoming software update have the added ability to reorder icons on the Apple TV home screen, much like users can do on an iPhone or iPad. The third iOS 6 beta for Apple TV also added enhanced AirPlay control, allowing users to actively stream audio to external AirPlay-capable speakers.